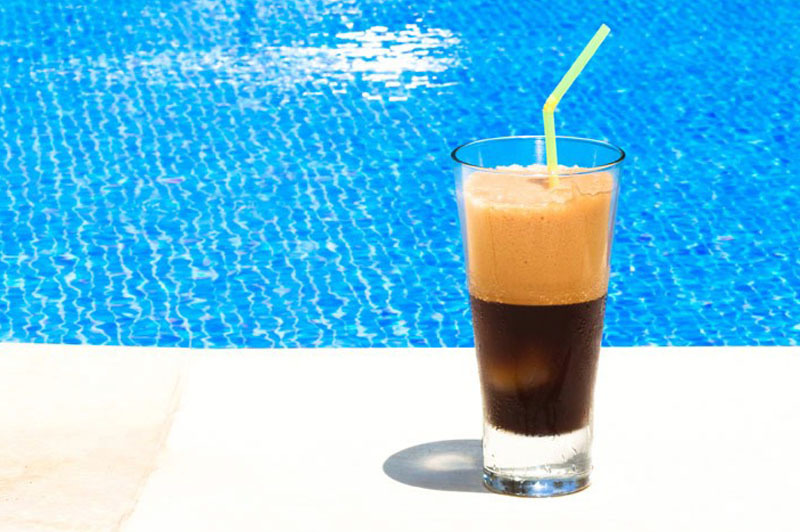 3 fresh ideas to cope with summer heat…How to make iced coffee easy! If you are really coffee lovers, it won’t be this hot summer to stop you from enjoying the pleasure and the aromas of a high quality coffee. Sometimes you just need to make little changes to give a new taste to something you already like. Don’ t be afraid of the heat of these month, since there are many ways to make iced coffee easy. 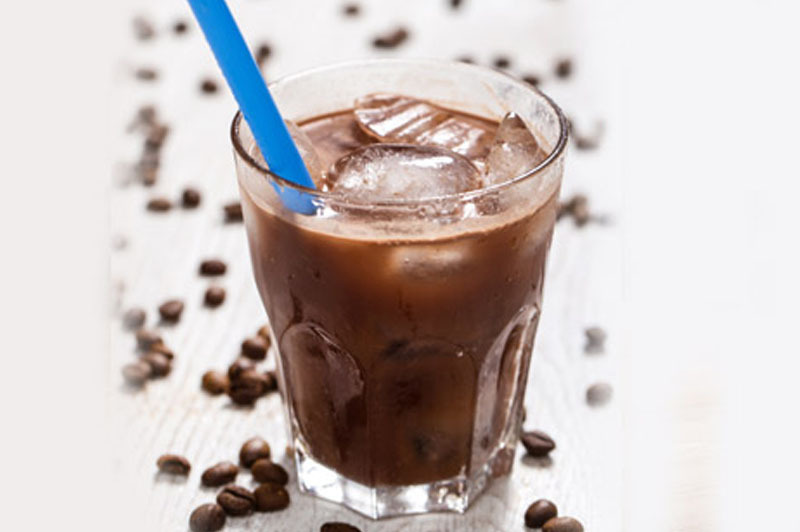 Let’s have a look at three fresh, tasty and even digestive recipes which will show you how to make iced coffee at home. First of all, my dear coffee lovers, a suggestion: it is very important to use only high quality coffee. Even better if you can use fresh roasted coffee, freshly ground. In fact, the freshness of coffee bean will give you a better taste and smell since, in this way, coffee maintains all its organoleptic characteristics. For a fresh iced coffee recipe, I would suggest you to use the Arabica quality. 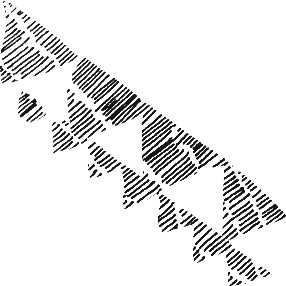 This variety of coffee, in fact, contains less caffeine and it is slighter sweeter and less strong than Robusta, another variety of coffee very common all over the world. For these characteristics, Arabica is the best choice for your iced coffee recipes. A very simple recipe coming from Salento, in the South of Italy, to taste, why not, in front of the sea. You just need to pour your freshly made coffee in a glass full of ice cubes. You could add sugar, or, as the original recipe suggests, you could add some almond milk (in this case I would avoid sugar). Have your coffee drink before the ice cubs melt, otherwise it would be very watery. 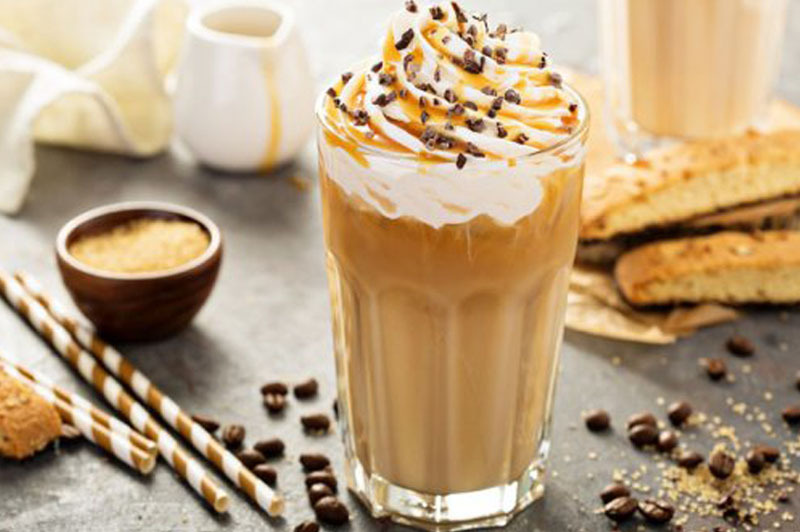 A recipe, just a little bit more difficult to prepare, but if you follow some simple steps, you will have a tasty and fresh Frappuccino to enjoy, maybe, while you are lying by the pool. Blend ice, about 200 ml of milk, a large cup of cold coffee, two tea spoons of sugar together in a blender on high until smooth. Pour drink in a large glass and top it with whipped cream, if you like it, and a little bit of cocoa and vanilla. 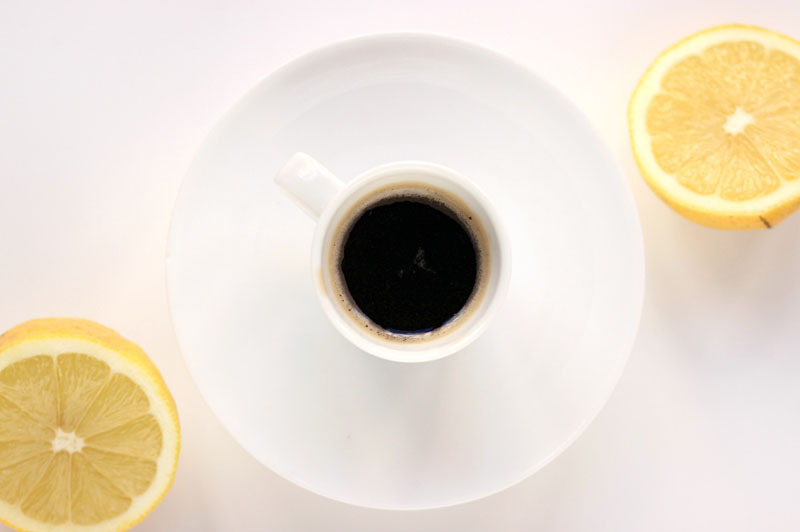 This lemon coffee recipe is perfect if you would like to finish your dinner with something fresh and original, moreover it is perfect as a digestive. It is a recipe which comes from Amalfi, one of the most famous village of the Amalfi coast, not far from Naples. It is usually served hot, but you could try it with ice so as to turn it into a fresh drink. For this recipe, I would suggest you to use moka, the traditional Italian coffee machine, the only machine that will give you a strong and unique taste. Grate some little slices of lemon peel, avoiding the white part which is a little bit sour. Put a couple of slices in a glass and slightly squeeze them so as to let the lemon aroma to come out. Put an ice cube in every coffee cup and let the coffee to cool down. Wait for a few minutes to let the different tastes to melt together. At this point your drink is ready. You will taste something unique, original and traditional, perfect also as a digestive. What else to say to conclude this fresh article? Well…if you are really coffee lovers like me, probably you can’t do without your coffee coffee time. With these recipes, it is very easy. Just little changes and even summer will become a perfect moment to take a stimulating and refreshing break…obviously a coffee break!